Australian Hi-Fi magazine is Australia’s longest-running and most successful hi-fi title. 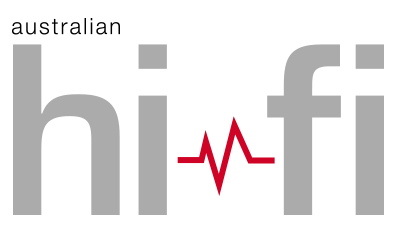 Published continuously since 1969, Australian Hi-Fi has gained an international reputation for the high quality and unerring technical accuracy of its authoritative reviews of hi-fi equipment, from portables to state-of-the-art audiophile systems, and everything in between. Australian Hi-Fi magazine’s editor, Greg Borrowman, is Australia’s best-known and most respected audio writer, with a 42-year background in audio electronics and music that includes teaching at TAFE and contributing a regular column to The Sydney Morning Herald for two decades. He has written about hi-fi and audio for many Australian magazines and newspapers, including The Age and The Melbourne Herald. He has also contributed to overseas hi-fi journals such as Stereophile. components, to regularly upgrade their hi-fi equipment, and to use only the best quality accessories and cabling. Every issue of Australian Hi-Fi magazine is packed with reviews of audio equipment, information about new products and reviews of music that will best show off a hi-fi system. Australian Hi-Fi became a full member of EISA in 2017 and publishes the EISA Awards annually.